Our website uses a shopping cart system. See our new internet shop here. Unlimited Exotica specializes in rare and unusual items from around the world,- everything from crystals, fossils, meteorites to antiquities to unusual plants. We are located in Adelaide, Australia and have been in business for over 20 years. 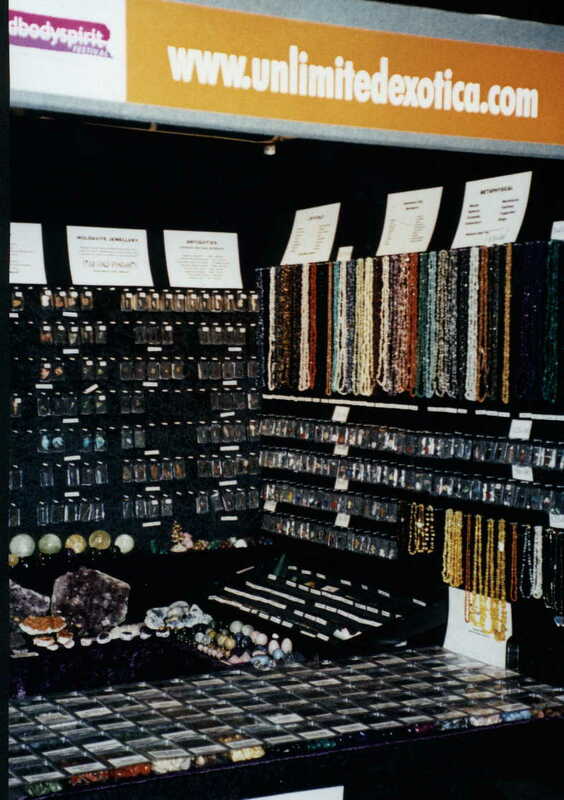 Our main business today involves wholesaling crystals, fossils, gemstone carvings and minerals. We still specialize in rare crystals and fossils etc (more will be added to this website shortly), but now mainly concentrate on providing a wide range of crystal and fossil items (including the largest range of gemstone animal carvings available in australia) in bulk lots for resellers, market sellers, ebay sellers and retailers. See our wholesale website www.krystalz.com for bulk orders. We were selling and displaying cacti, carnivorous plants and tillandsia every September at the Royal Adelaide Show for many years (being the recipient of the Banksian Medal twice). Although we still sell airplants (www.airplants.com.au), we no longer sell other unusual plants directly, but a list of cacti can be found at www.cacti.com.au for sale. There is a permanent display of crystals, fossils, carvings, jewellery, meteorites and minerals at the Nhill Oasis Motel (halfway between Adelaide and Melbourne) available for sale. Our warehouse in Adelaide is not open the public, including wholesale customers. Please use our online stores or see us at one of our shows or permanent location. We now have our own annual crystal show in November each year at the Hahndorf Town Hall and have recently started a second show there over the June long weekend due to popular demand (as our warehouse is not open to the public throughout the year). We still do a few other shows, but now concentrate mainly on our own shows... see a list of a current shows on the main page. We were also at most of the Mind Body Spirit Festivals around Australia for many years. 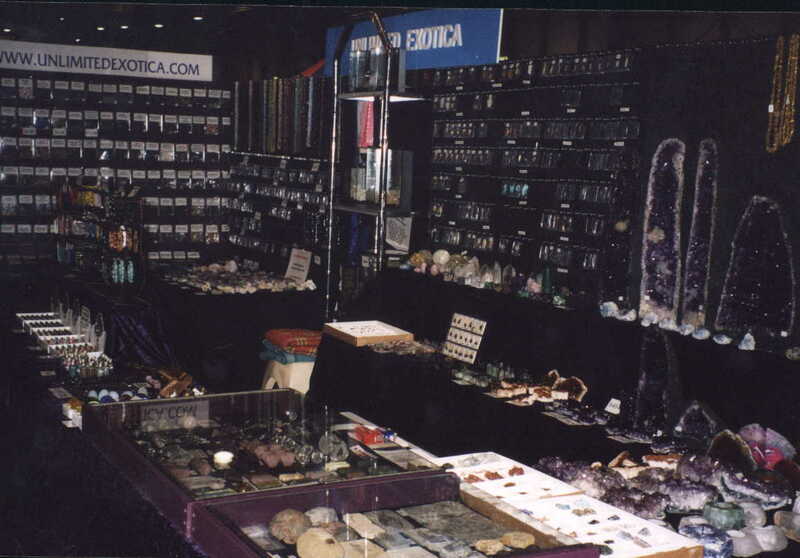 Below is our stand from the Sydney 2002 Show. Below is our stand at the Adelaide 2003 Mind, Body Psychic Show.